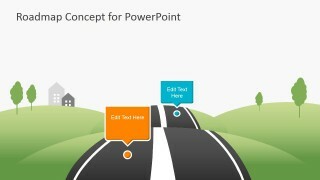 Create a professional PowerPoint presentation using the Creative Roadmap Concept PowerPoint Template. 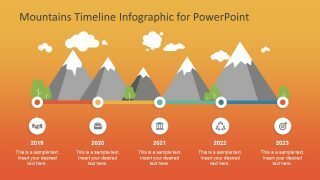 This roadmap template can be used to produce a business presentation involving the organization’s upcoming events and activities in a format which is appealing and can be easily understood by all types of viewers. 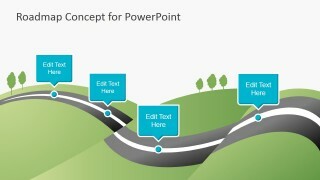 The PowerPoint graphics on the Office template are vector diagram illustrations of a modern highway cutting through a mountainside, with houses and trees found on the horizon, in different variations. 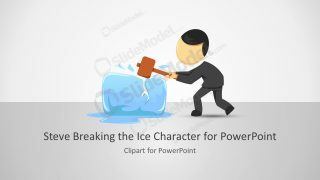 The colors of the graphics are easy on the eyes, and are specifically designed to supplement rather than overpower the main point of the PowerPoint slides. 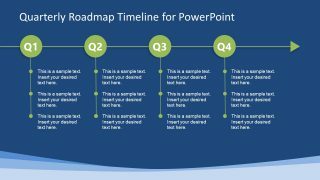 Each of the PowerPoint slides form a significant segment of the timeline template. The various events and activities the presenter wishes to showcase may be put inside PowerPoint shapes resembling dialog boxes, colored in either orange or blue, which are ideal for both complementing in standing out amidst the green landscape designs. 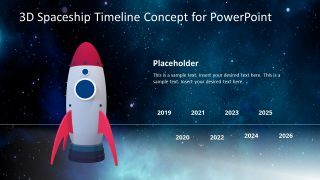 The timeline of upcoming events may be presented by inserting their corresponding information into the slide design in the PowerPoint template which fits the purposes of the presenter best. 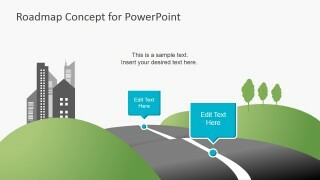 The PowerPoint slides have various uses, according to the position of the text boxes on the road template. Some of the slides feature only dates. The presenter may use these as introductory slides and section headers to the presentation design. 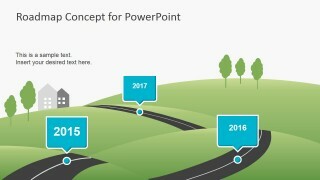 The other PowerPoint slides may be used to show future events with unspecified dates, while still others come complete with both date and information, and are shown in groups. 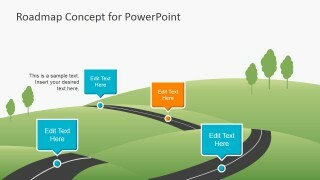 The PowerPoint template is ideal for use in business presentations, such as project proposals, to show their suggested schedules for project construction and implementation. Using the Creative Roadmap Concept PowerPoint Template, the presenter can generate slides and presentations, as a whole, in an interactive arrangement that are assured to stimulate audience attention and to increase overall visual impact. 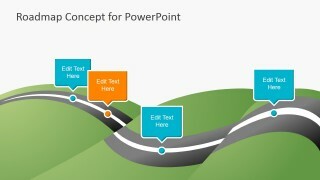 The presenter may also download other roadmap timeline templates with flat 2D versions, such as the Timeline Roadmap PowerPoint template.